Knowing the type of knives to buy is important. Start with Blade-Heavy Knives. These knives are heavier at the blade end and make learning the “Hammer” technique simple for beginners. We suggest these Uzi skeletonized to begin. First, grip the handle with your dominant hand. Make sure your fingers are wrapped around it and your thumb is touching the top of the handle for extra control. Stand 10 feet away from target. If your right-handed, place left foot forward and right foot back. (Feet should form 45 degree) Slightly bend your knees to create stability. Make sure all your body weight is on your right leg. Point at target with left hand (if dominate hand is your right) as if your aiming. Bring knife above your head, perpendicular to ground. Swing knife down like a hammer as if you a butcher cutting a slab of meat. Shift your weight from the back to the front during your motion and let the knife travel through the air! Boom! 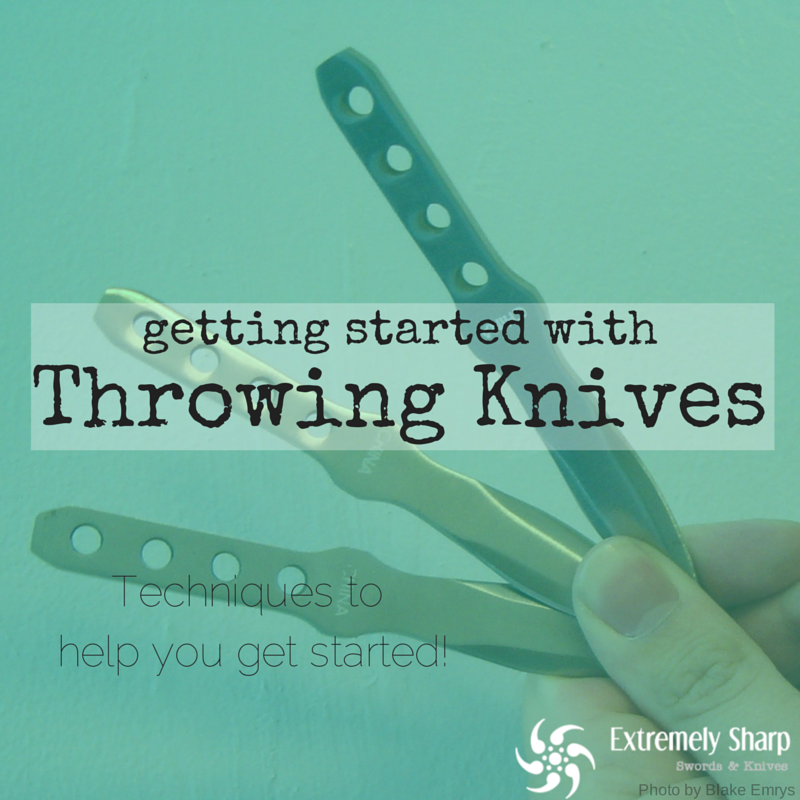 You have just professionally thrown a throwing knife! Getting the release timing down takes patience and practice. Get the feel of the knife as it leaves your hand so you can get the release down to perfection. Tell us how it goes for you or any tips you’ve learned. I’ve ordered Ninja stars from the site before. They remind me of my childhood, we used to play with them all the time. 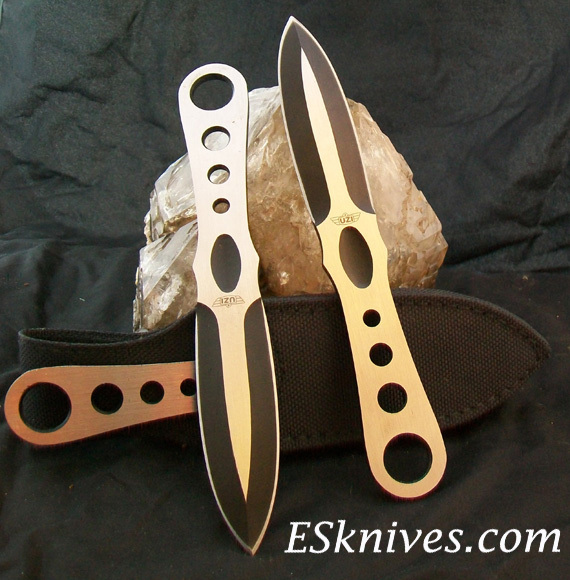 Haven’t tried throwing knives before, but I bet they are similar.